Vin Sinners is a UAE based rock band started in 2009 by Chennai born Vin Nair, who is currently based in Mumbai. 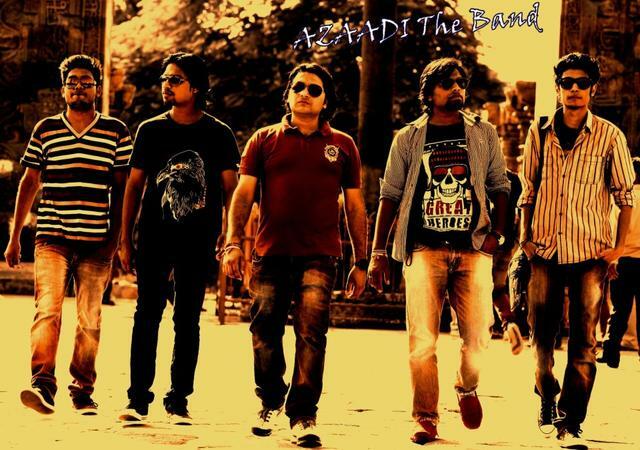 The band has signed several music contracts with Universal Music India and are a complete wedding entertainment package. Considered as great performers on stage, just give them a mike and a platform on the wedding day and witness the magic that they create with their tunes and rhythms. Whether it's a sangeet function, engagement function or a reception ceremony, they are the group who will make your day, extra special. Vin Sinners is a wedding entertainers orchestra based out of Mumbai . Vin Sinners's telephone number is 76-66-77-88-99, address is Sameer Complex, Saint Andrews Road, Bandra (West), Mumbai, Maharashtra- 400050, India..
Vin Sinners is mainly known for Entertainment Services. In terms of pricing Vin Sinners offers various packages starting at Rs 0/-. There are 0 albums here at Weddingz -- suggest you have a look. Call weddingz.in to book Vin Sinners at guaranteed prices and with peace of mind.